Strong-willed Minnie Byers left her home in Ellenboro, North Carolina, when she was eighteen. With very little money, Byers found her way, attending business school in Richmond, learning secretarial skills, and studying the stock market. The financial knowledge she acquired made her invaluable to the Phillips family. 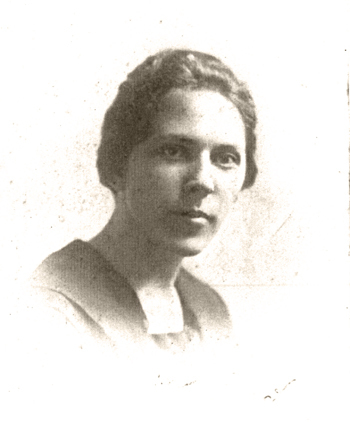 Minnie Byers worked for the Phillipses from 1923 to 1960. Byers was initially assistant to museum treasurer Dwight Clark and became treasurer herself in 1927. Her financial acumen saved Phillips from the crash of 1929 by advising him to put his stock market holdings in real estate. Minnie was close to Duncan Phillips’s mother and administered her estate. Mrs. Phillips left Minnie a good sum of money, which she invested and which became her nest egg. Minnie confided to one of her relatives, “I have a problem with Duncan.” He replied, “What is it?” She answered, “I can’t tell him how much money we have. He’ll go and spend it on works of art.” Minnie was protective of Phillips and his money. She began to educate herself about art. She’d say, “I don’t think it’s worth that, Duncan,” and he listened to her. “I invested their money wisely,” said Minnie. Minnie raised four nieces and nephews, providing them with the best education possible and a wide array of cultural experiences. To her many nieces and nephews, Minnie was a source of enchantment. She called and asked what they wanted for a birthday, and lo and behold, it would appear. Visiting Minnie was a magical affair, she took them to Woodward and Lothrop, and they got to ride the escalators and choose which clothes they wanted. Minnie had a cook and a maid. Her dining room table seated 12 and was always laden with food, a big banquet. As a token of his esteem for Byers, Duncan Phillips gave her paintings by Walter Griffin, Lilian Westcott Hale, Henri Le Sidaner, and Helen Turner, and Marjorie Phillips gave her works of art as well. 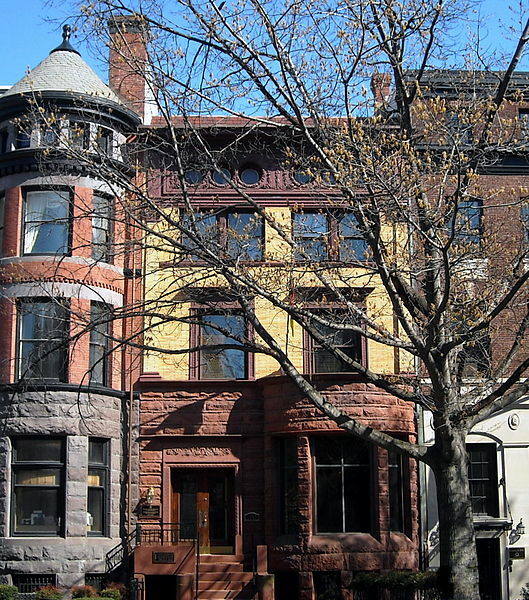 Byers’s former home at 1525 New Hampshire Avenue is currently the Embassy of Mozambique. This entry was posted in Experiment Station and tagged Minnie Byers, Phillips staff, staff members, women's History Month. Bookmark the permalink. I am one of “Aunt Minnie’s” nieces! Her brother, Charles, was my dad ! Since my mom and dad were divorce and we lived in Minneapolis, I didn’t get to be with Aunt Minnie very often. She always sent us really wonderful gifts from Lord and Taylor’s and on our rare visits to her home I just remember the great food and the wonderful time I spent with her. I have just learned of the exhibit and hope to visit before April! How wonderful! Thank you so much for sharing. Please let us know how your visit went if you do get a chance to see it! I’ll pass your note along to our librarian, who organized the show. I’m sure she’ll find this of great interest!